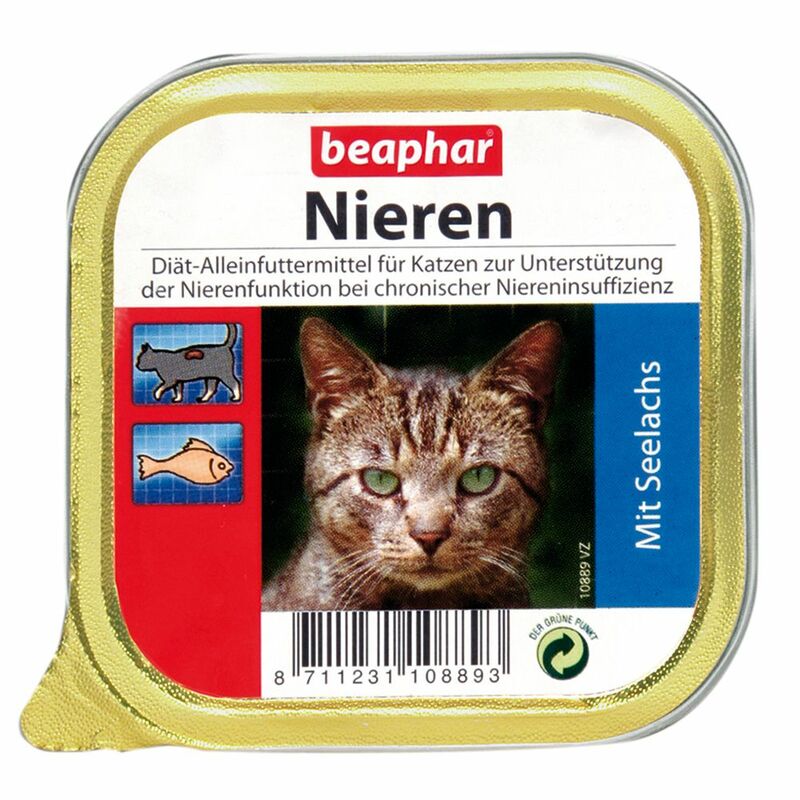 The beaphar Renal Diet 6 x 100g is available in delicious varieties with chicken breast, pollack, lamb or duck and has been designed specially for cats with kidney or kidney stone iΒues. This cat food has been made from the finest natural raw ingredients, without the use of artificial preservatives, flavour enhancers or other additives. The quality of the protein sources used in this dish ensures optimal digestibility and high acceptance. It is particularly important for cat that their kidneys are not put under unneceΒary strain. That is why this food contains a lowered phosphorus content and a reduced protein content. The recipe contains salmon oil, which is rich in unsaturated omega fatty acids, eΒential for keeping skin and fur healthy, as well as helping to combat chronic kidney iΒues. The beaphar Renal Diet is a wet food containing premium chicken breast, pollack, lamb and duck, making it both delicious and easy to digest. It has been developed using veterinary knowledge and to meet the specific needs of cats with kidney illneΒes. The eΒential amino acid taurine helps to support heart, gallbladder, brain and eyesight. It is an eΒential nutrient that your cat cannot naturally produce in sufficient volumes. Fine food for gourmet loving cats with kidney problems! beaphar Renal Diet 6 x 100g at a glance: Complete diet for adult cats Supports kidney function Finest natural ingredients and high quality protein sources: for high digestibility and good acceptance Low phosphorus and protein contents: to avoid overloading the kidneys With salmon oil: rich in unsaturated omega fatty acids, which are good for the immune system, skin and fur, as well as helping to combat chronic kidney disease With taurine: eΒential for cats and can help improve heart and eye function 4 different varieties: for more variety In practical portioned trays.